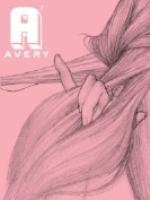 The Avery Anthology is an anthology devoted to the unpublished short story. Twice yearly, we publish a dozen or more new short stories from established, emerging, and previously unpublished writers. Working closely with artists and graphic designers, we produce a handsome book, each edition of which we hope stands as a notch in the evolving recent history of what young and innovative writers are doing with short fiction.